elegance of a luxury contour enclosed back chair, without the luxury chair price tag. 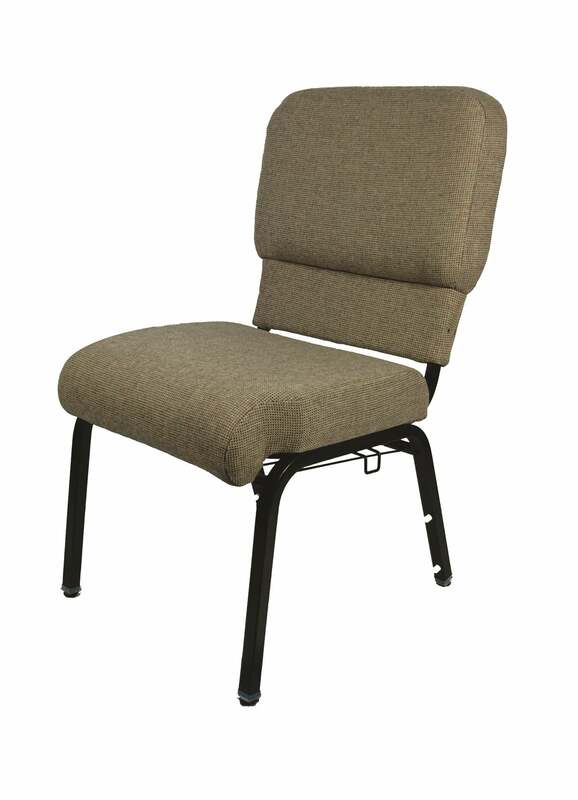 The dual layer seat and contour back will envelop and support your congregation. See for yourself why this is America’s best value in a luxury sanctuary chair! The Joshua Elegant Contour Series is our lightest and most elegant chair! We utilize PolymerTough™ technology to achieve lighter weight and exceptional durability. An ergonomically designed body-shaping contour back provides extraordinary support and comfort. Our 16 gauge steel frame with 5/8” cross members, 1” weld lines, and true mandrel bends will support more than 1700 lbs! All chair fabrics comes standard with MoistureBarrier™ treatment to protect against spills. With MAS certified components, these chairs are designed for low chemical emissions. Looking for an elegant chair for your sanctuary? Request a free sample of ChurchPlaza’s Joshua chair! Substances List regarding formaldehyde emissions. Looking for information on measurements and dimensions? View the product spec sheet for our Joshua church chair.